If there were one Rowing WOD that could show you how far you’ve come in the forging of Elite Fitness, this would be it. The Peak Power Test will give you a sense of the raw power you can put into one stroke. 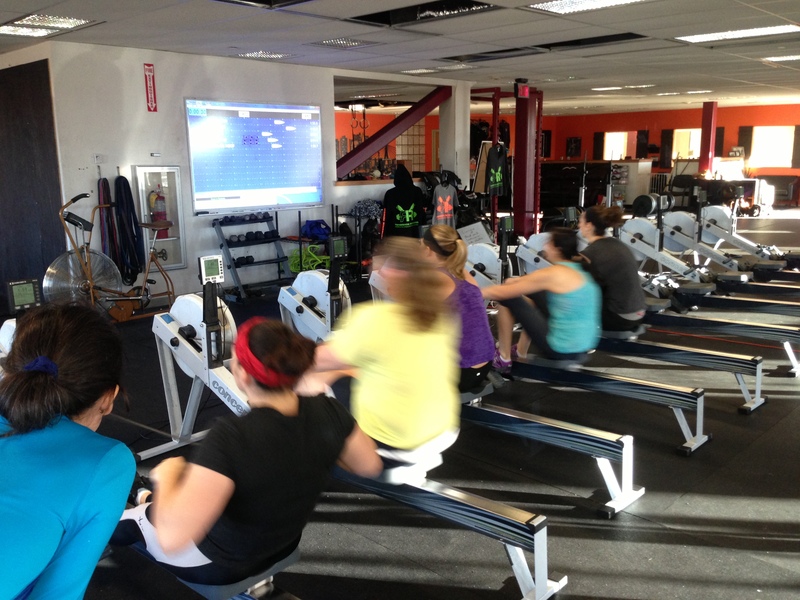 The 2k test has been referred to as the “Fran” of rowing due to the burning lungs and legs it leaves you with. The 2k row is like nothing else in sport. It requires both power and endurance. Do you have what it takes to push through the pain? For the Peak Power Test set the monitor for 20 seconds of work and 2 minutes of rest. Start by paddling a couple of strokes to get the fan moving and then go for max watts. It may help to video the test or have a partner watch to tell you the highest watts you pulled in just one stroke. During the 2 minutes of rest paddle lightly or roll out. Take 3 or 4 tries to find your max wattage starting with the damper set low and increasing the drag each successive try. At some point you’ll find a drag that you like and gives you the most power. Your score for the Peak Power Test is the Max Watts pulled in just one stroke. For the 2k Test, set the monitor for 2,000 meters and execute a race plan. The most successful race plans are the simplest. @250m to go, Sprint for the Finish Line! Post your Peak Power (Watts produced in 1 stroke) and 2k time to comments! This entry was posted in Fitness, Rowing, Strength and tagged endurance sports, exercise, functional movements, inspiration, mental toughness, personal experiences, recruitment patterns, row 2k, rowing, sports, Strength, training by Renegade Rowing. Bookmark the permalink.